Dutch whisky! We do bring you some delights from around the world. Zuidam distillery is based on the border of the Netherlands and Belgium. They seem themselves as a bit of a craft distillery (or artisans). They’re a family owned distillery, and all “recipes are designed by father Fred and son Patrick van Zuidam”. The distillery produces around 600 products, which is quite staggering, though it’s not all whisky – they do liqueurs, gin and so on. In fact, they’ve actually been knocking out products for around four decades, so there’s quite the history and a huge range has developed over that time. Colour: light cider or apple juice; a lighter honey. On the nose: fairly classic sweet vanilla notes, the kind of thing you might expect out of ex-bourbon casks. Madeira cake. Marzipan. Clean as a whistle, though. There’s a touch of sea spray perhaps, but not a huge amount of complexity. In the mouth: that’s a fairly straight-down-the-line whisky of low complexity again, but not badly balanced nonetheless. A fairly thin dram, with low viscosity, though with a touch of chewy woody flavour there. Again a gentle sweetness, though not as much as the nose promised; that saltwater carries right on through, nutmeg, stewed apples, possibly even a waft of peat, followed by the vague hope you might find more… But it falls a little flat, and the finish is a fraction bitter. 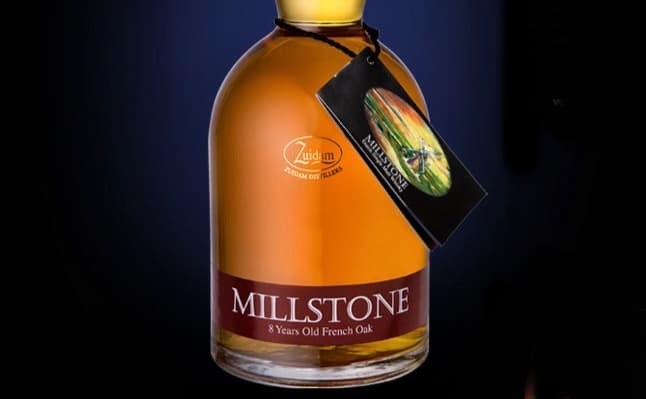 Try the Millstone 5yo rye if you want a treat! Nothing ‘meh’ about it! I did not even realize they also have whiskies. I have had some of their aged old genever. Which was nice, although never reaching whisky complexity. Yes, they’ve got quite a range of whiskies apparently. I’ll definitely be seeking out some more from them, since I like to support more unusual whiskies. 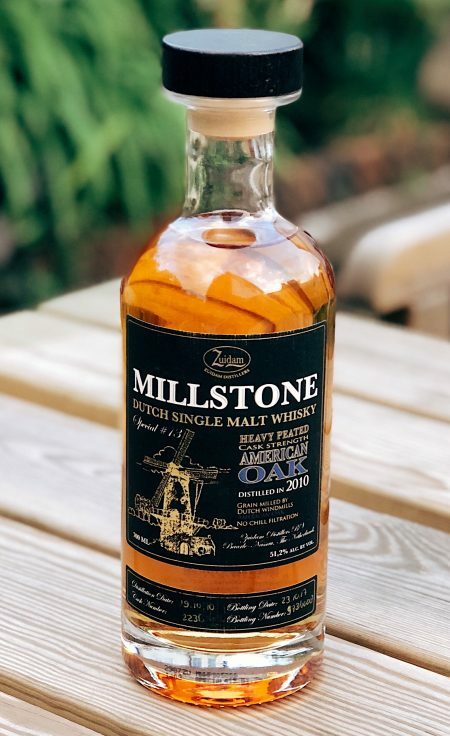 It seems only apt that the Netherlands plays host to a whisky distillery of its own given how passionate many of the natives are regarding..